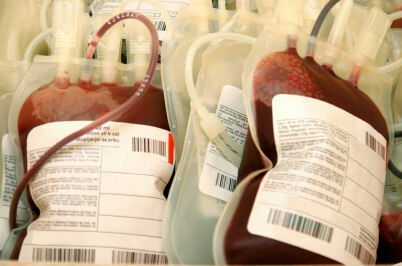 There is also research that suggests giving blood could be a good deed for your body, not just your soul. Lower iron levels result from giving blood and this could reduce your risk of heart disease. 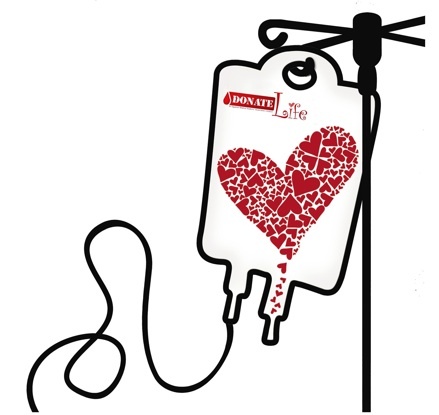 Someone who consistently donates blood has lower risk levels for liver, lung, stomach and throat cancer. Regular blood donors have 88 percent lower risk for a heart attack and 33 percent lower risk for another severe cardiovascular event like a stroke. When blood is replenished 48 hours after you donate, the process can help keep your body healthy and working more efficiently. I used to be scared of giving blood. I would wonder why anyone would voluntarily get pricked with needles, but then something clicked and I wanted to try. After that first time, I realized it wasn’t painful or scary like I thought, and I felt so good knowing I had helped someone. I first donated my freshman year when the Red Cross was having a blood drive in my dorm, and every since then I have strived to give at least twice a semester (but it’s safe to do it once every 56 days, so I should do it more!). Below I’ve listed five tips that make the donation process easier and reduce your risk of getting sick or feeling faint afterwards. Eat Before: Make sure you refrain from giving blood when you’re hungry. Make sure you eat a big meal full of healthy carbs at least 4 hours beforehand. Try to eat vegetables, slightly larger portions of protein foods and food high in iron, not only the day of, but the day before as well. Eat After: Usually blood drives have cookies, crackers and other little snacks for donors to eat after they donate because it’s a good idea to eat something after. For a better choice, throw a yogurt or fruit cup in your bag to eat instead, this will keep your blood sugar at a healthy level so you don’t faint. Prunes and prune juice are high in iron so they’re even better. Drink: Make a point to drink extra water before and after. Blood is mostly made up of water so drinking a lot before will help your donation process go faster and replenish the water you lost afterwards. While water is most important, drinking orange juice and other fruit juices with keep your vitamin levels up, so they’re good to drink as well. Exercise: Make sure to take it easy the day you are going to donate. Your heart level needs to be normal as a requirement to donate, so avoid strenuous exercise. It’s a good idea to take a break from your regular exercise routine the day you donate to let your body rest and replenish all the nutrients you lost. Vitamins: If you don’t take a multivitamin daily, first off you should be, especially as a college student, but don’t forget to take one the day before, and the days leading up to your donation. If you have iron vitamins take those as well since your iron has to be at a high level for donation. Most women have low iron levels so it’s extra important for them. A quick tip for women that take birth control pills, take one of your sugar pills the day of, they are full of iron, and a guarantee you’re iron will meet the iron requirement. Hopefully these tips will help make your donation experience the very best, whether your a first timer or a veteran. I will be giving blood this week, and I hope this post inspires you to do the same in the future. Remember, a few minutes of pain could give someone a few more minutes to live.